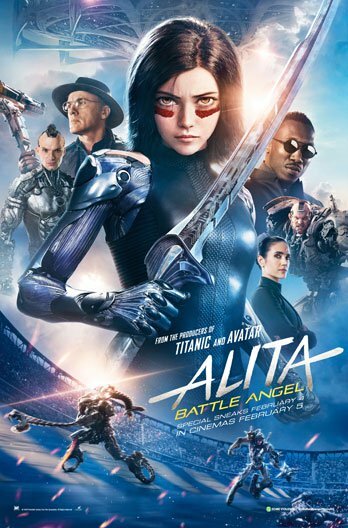 The first thing that blows your mind away when you watch Alita: Battle Angel is the amazingly slick visuals where the strangely mech manga-like titular character, Alita, somehow fits in with the human characters around her even though she has clearly gone through some post-production rendering. Best watched in IMAX/3D, the 3D visuals and sequences are subtly rendered so that it doesn’t scream “Hey, I’m 3D!” (unlike the very jarring IMAX introduction sequence that screams that prior to the start of the movie). 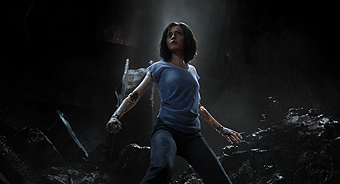 Alita: Battle Angel clearly demonstrates how Weta Digital has elevated such 3D animation to a beautiful art form. Too bad the same can’t be said of the rest of the movie. 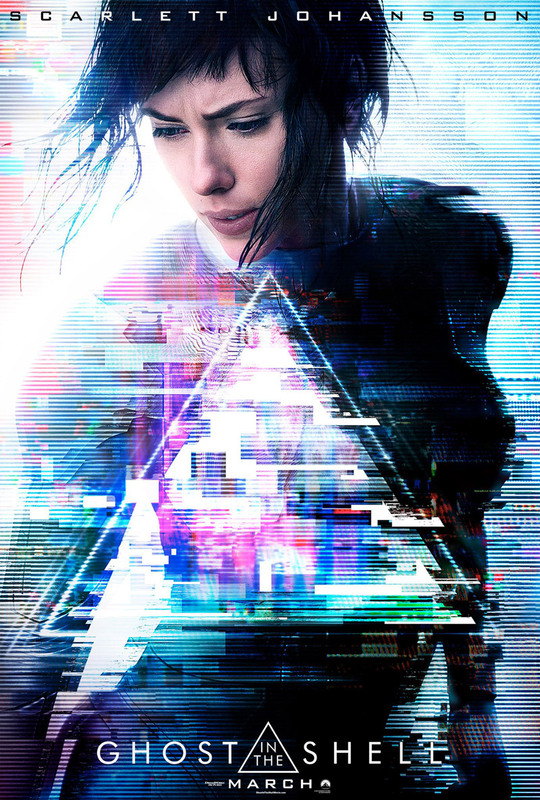 The movie starts off on a predictable but interesting note – mysterious cyborg female protagonist is picked up by cyberdoctor who pretty much sort of resurrects her. Then it simply becomes predictable. The cyborg girl turns out to be some martial arts expert with an unknown mission and single-handedly kicks the butts of all the annoying bad guys. The bad guys’ main motivation is to be greedy and evil even as their overall demeanour just screams stereotypical “I am a bad guy and I will stop the female protagonist just because I am evil!”. Other than the fact this sounds already like the 101 movies out there with a strong female lead who you know will save the world (think Hunger Games series, Divergent series, The Darkest Mind), the other elements of the movie also feel too familiar. Its division of the world into have and have-not parts where the elites live in the sky world of Zalem that floats over its ground-bound dumpster Iron City reminds you of the recent Elysium. The sport that promises a ticket to Zalem, Motorball, is basically a Transformer version of Rollerball. 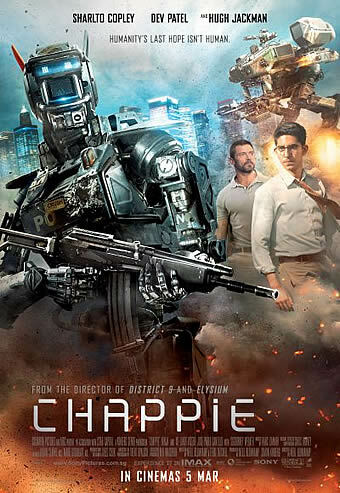 While the kickass sequences and tight pacing of the first half of the movie keeps the predictable plot going and makes the movie somewhat enjoyable, the movie loses steam towards the second half of the movie where a few different and poorly developed subplots are strung together in a haphazard manner. There’s Hugo, Alita’s love interest who is a bad boy wannabe (or in Singapore parlance, chao ah beng) who has a burning desire to go to Zalem which he thinks is a utopia in the sky. There’s Alita’s road to discovering not just her path but also who she is as a person. Above all that, there is the ultimate villian’s unexplained (to that point) obsession with killing Alita. Messily put together to push the movie along, the second half of the movie feels longer than it actually is and even the action sequences felt a bit dragged out. Beyond plot, the characters are one-dimensional and pop in places that they will never be just to move the plot along in the second half of the movie (warning: spoilers follow after this). Dr Ido (played by Christoph Waltz), the cyberdoctor who revives Alita, predictably sees Alita as the replacement for his deceased daughter, who, as you can guess, was named Alita. The attempt to get the audience to doubt that he is a benign protective father figure by putting him in a situation that causes Alita to suspect he is a murderer, is pathetic as the thinly disguised plot ‘twist’ can be discerned miles away. 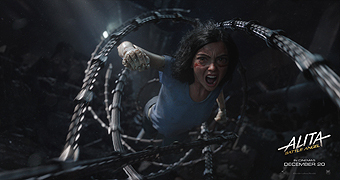 Alita’s love interest, Hugo, is an unnecessary element, save for his dying so as to trigger her determination to stomp to Zalem to go after the ultimate villain, Nova, and set up the premise for a sequence. He also plays the role of damsel in distress allowing Alita to showcase her amazing prowess. Ido’s estranged wife, Chiren (played by an underutilised Jennifer Connelly), also does a 360 and suddenly sympathises with Alita and helps her save Hugo’s life after spending about 95% of her screentime attempting to kill Alita. The cliffhanger ending is a blatant setup for a sequel and also a frustrating ending for those who went through the messy second half hopeful for a resolution for Alita. 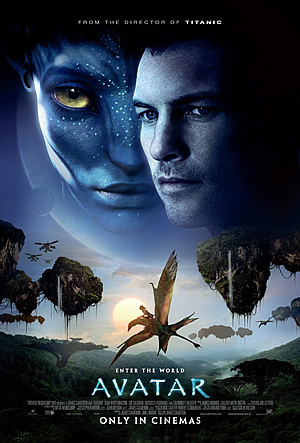 Hopefully though, the sequel that comes will conjure more of the James Cameron (the producer and screenwriter for this movie) magic that we had come to known and expect.